Up for a new adventure? 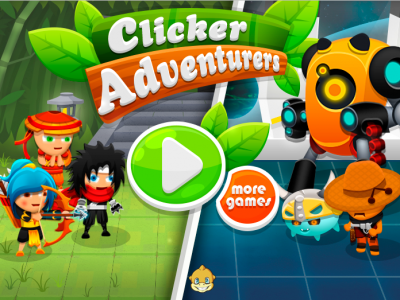 Click your way to victory in epic battles in this addicting incremental game Clicker Adventurers. Use your mouse and tap as fast and as often as you can on your enemy to defeat him and gain money, from which you can buy upgrades and add more heroes to your team. Much fun!